Watch your favourite video songs and movies in video player. It supports MPEG4, H.264, 3GP file types. Listen to your favourite songs in music player. It supports MP3, AAC, AAC+, eAAC+, WMA, WAV, AMR, OGG, MIDI etc. file types. The Samsung I5500 Galaxy 5 is the future. OK, now, take your time. Laugh it up. But it looks like the term smartphone is about to become meaningless. It wont be too long before they are all just phones again like in the good old times. 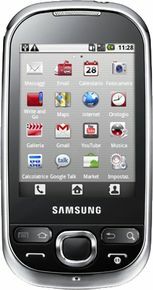 The Samsung I5500 Galaxy 5 is the right sort of step slow and cautious into a world where every phone is a smartphone. And it seems pretty obvious that Android is the right OS.